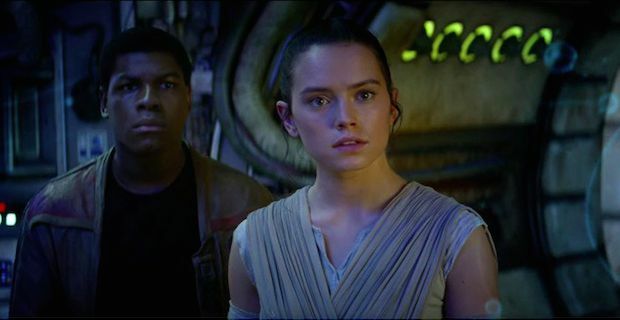 The official release of the trailer for Star Wars VII: The Force Awakens was on Monday and already has been viewed on YouTube more than 8.5 million times and counting. On Monday, online tickets were available for the December 17th opening and received such an overwhelming response that various cinema websites crashed. Unfortunately even the trailer for one of the most anticipated films of the year can attract negative attention. Shortly after the release of the trailer the #BoycottStarWarsVII started trending because of the use of British actor, John Boyega, who happens to be black. At the root of the tweets are fewer than a dozen people who believe the film shows “anti-white propaganda” and promotes “white genocide” in the Star Wars universe. The same user who has made these comments also believes the director, JJ Abrams to be a “Jewish Activist”. While some may think this unfortunate hashtag trend is a marketing strategy to draw more attention to the film, it unfortunately doesn’t seem to be that at all. Rather it appears to be an outright act of racism. Most of the tweets using the hashtag though are those calling out the bigotry and shaming the ones that are using the hashtag to make racist tweets. Selma director, Ava DuVernay responded by starting #CelebrateStarWarsVII praising the diversity of the cast and fans. One has to wonder though, by responding and reacting to the racist hashtag on Twitter, are we giving those that started it exactly what they wanted? Attention.